Three vehicles were involved in an accident on Armstrong Road at Sullivan Road near North Webster Friday. 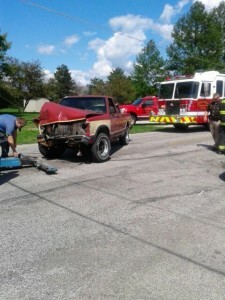 According to a Kosciusko County Sheriff’s Department report, one person was injured in the crash that happened at about 3 p.m. According to the investigating officer, two vehicles collided when Rickie Sewell, 60, of Leesburg, pulled into the path of another vehicle driven by Jeffrey Brugh, 45, Pierceton. Sewell’s vehicle then collided with another vehicle operated by Paul Westerhouse, 69, of Warsaw, that was stopped on Sullivan Road waiting for traffic. A passenger in Sewell’s vehicle, Catherine Sewell, 56, also of Leesburg, had to be extricated and was treated for chest pain. 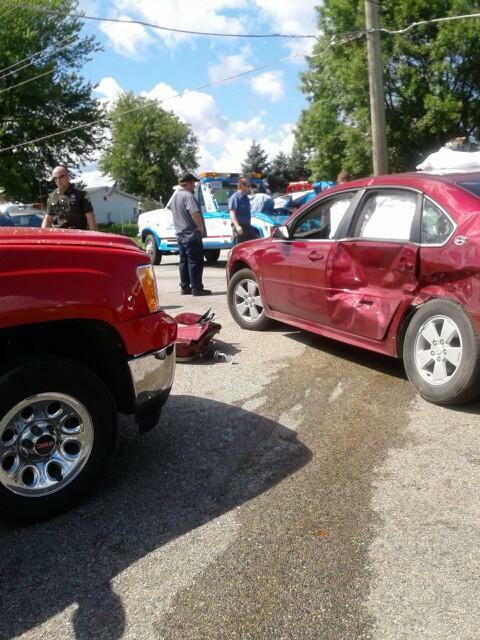 Assisting on scene were North Webster Fire Department, North Webster EMS and Kosciusko County Sheriff’s Department.